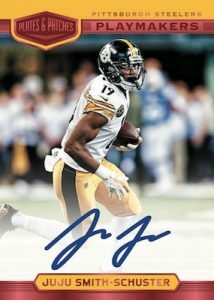 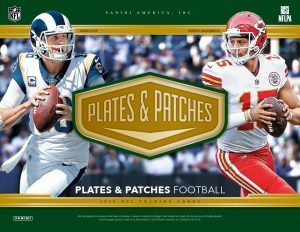 2018 Panini Plates & Patches - Football Card Checklist	Overall rating:	3	out of 5 based on 1	reviews. 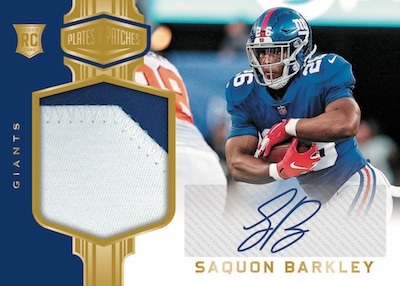 2018 Panini Plates & Patches is a premium style release that promises an average of 1 printing plate, 1 autograph, and 1 relic card per box. 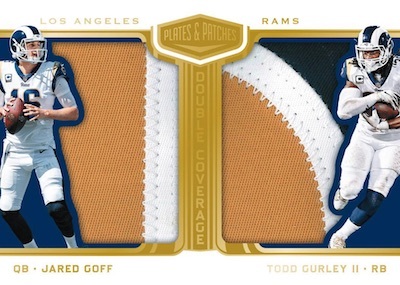 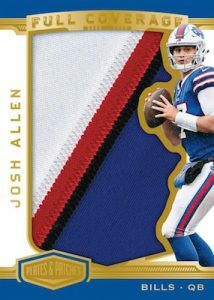 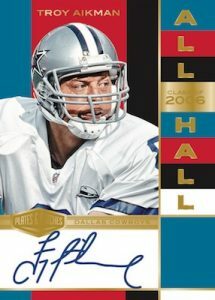 Like the 2017 release, Plates & Patches pulls printing plates from earlier 2018 Panini releases and are not limited to simply NFL cards. 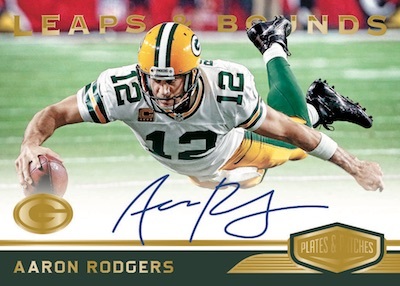 There is also a limited number of autographed printing plates that will fall at random intervals. 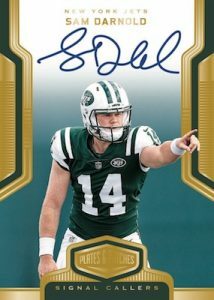 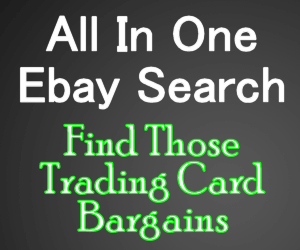 Autograph cards are a mix of hard-signed and stickers, while relic cards vary from jerseys through to jumbo patches. 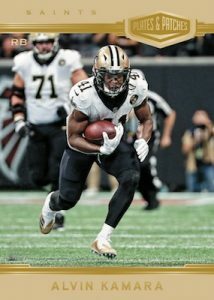 A full team-by-team breakdown of the hits can be found at Breakninja.com.